As previously reported military lawyer Jim Unkles was unsuccessful at securing a pardon for Breaker Morant, however all may not be lost for The Breaker, says Dr Glenn Davies. FILMING OF Breaker Morant - The Retrial began on location in Charters Towers on Monday, 11 March 2013 and will continue until the end of this week. The two-part documentary series is partly based on the work of military lawyer James Unkles, who has built a legal challenge to the original convictions and sentences. Perhaps by turning to the court of popular culture, Unkles may have a greater chance of success in his legal case? Following a Screen Australia board meeting, Sydney independent production company, Film Projects, was given the green light to make 2 x 60 minute documentary series entitled Breaker Morant – The Re-Trial, that tells the story of the greatest military controversy in Australian history — the trial and execution of Harry ‘The Breaker’ Morant and Peter Handcock. 110 years after he was executed by the British during the Boer War, Breaker Morant - the Retrial will capture a rare moment of living history through the cross examination of historians and legal experts, and the presentation of James Unkles evidence that presents betrayal and subterfuge at the centre of the trial. The documentary series was commissioned by Foxtel’s History Channel, along with international co-partner Sabido Productions in South Africa and will screen in late 2013. Breaker Morant - the Re-Trial will be shot in Australia, South Africa and the UK and will feature historical re-enactments of key events and unseen archive material. 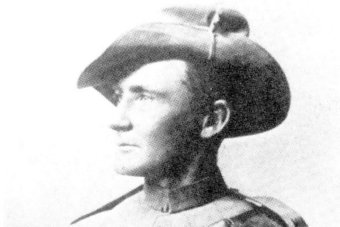 The documentary series tells the story of Harry ‘Breaker’ Morant, from his legendary days as a horse-breaker and iconic bush character in the 1880s and 1890s, his marriage to Daisy May O’Dwyer (later known as Daisy Bates), to action and his execution in the Boer War in 1902. Morant’s time in Charters Towers began in 1883 where, then known as Harry Edward Murrant, his horsemanship secured him a stockman’s job on a local station, Fanning Downs. It was here he met and married Daisy May O’Dwyer. The marriage lasted just over a month, when Murrant was accused of stealing a saddle and pigs. This period also marked the first time he used the name Morant instead of Murrant — on a dud cheque for two horses. 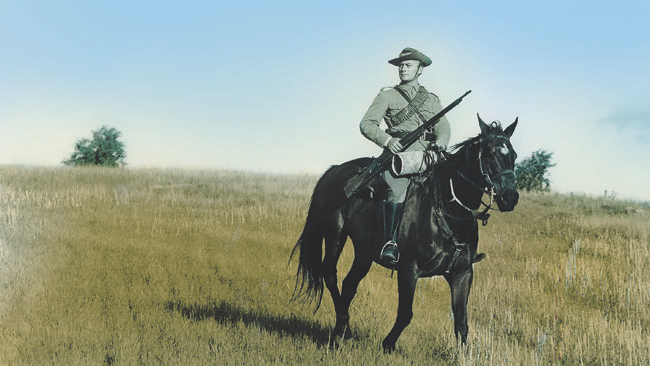 Harry then took off to the backblocks of western Queensland, where the English immigrant re-cast himself as the archetypal Aussie bushman — earning himself the moniker of ‘The Breaker’ for his extra-ordinary horse-breaking skills, which most famously included the taming of Dargin’s Grey, the wildest brumby ever to be brought out of the bush. When the streets of Charters Towers are turned into a movie set it will feel like a step back into the past for many of the residents. But not necessarily for the reasons you may think. 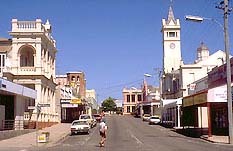 Charters Towers is well-known as a town that has a booming tourist industry based around its heritage past. This is enhanced through the almost intact late nineteenth century streetscape architecture that has survived in the central business area. All is needed is the removal of some antennae, careful panning to miss electricity poles, and covering the bitumen roads in dirt and the historical transformation is complete. However, for many older residents it is the memory of another outdoor film production about 30 years ago that is fondly remembered. This was the filming of The Irishman on the streets of Charters Towers that also required the transformation of the town into an early twentieth century community. The residents of Charters Towers still talk about the Clydesdale horse teams being driven down their main street. My family have lived in Charters Towers since the 1890s and as a result the town is full of extended family. As a result, the town’s goldfield heritage past is entwined with family heritage. It’s no wonder when the call was put out for ‘extras’ my eighteen year old cousin, Kameron Smith jumped at the chance. 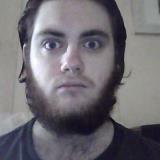 He was selected and the first instruction was to grow a beard! I’m sure the screening of Breaker Morant -The Retrial in late 2013 will be keenly awaited in Charters Towers.